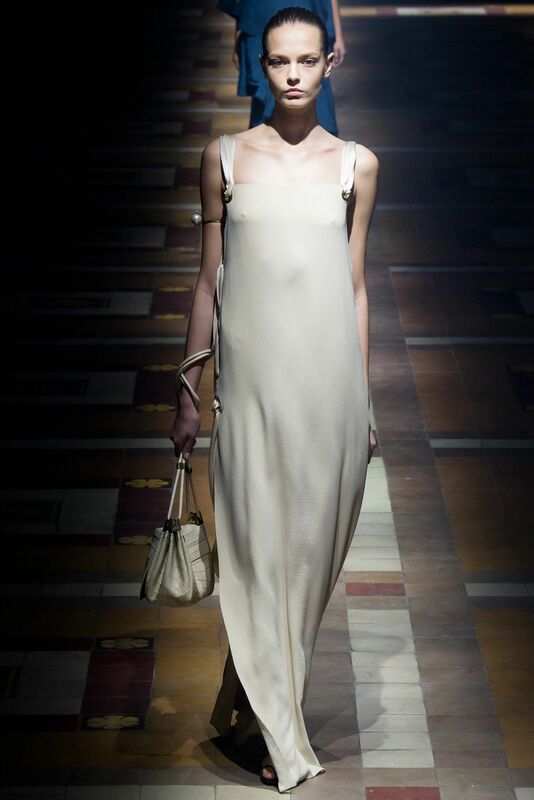 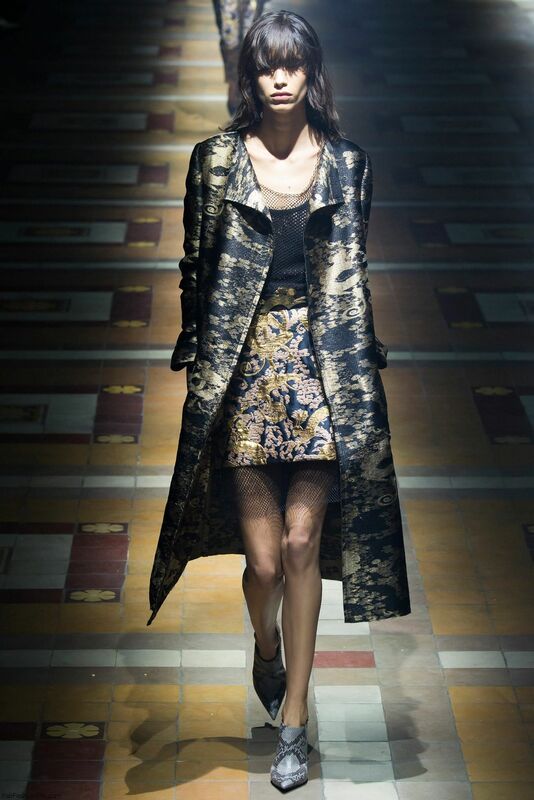 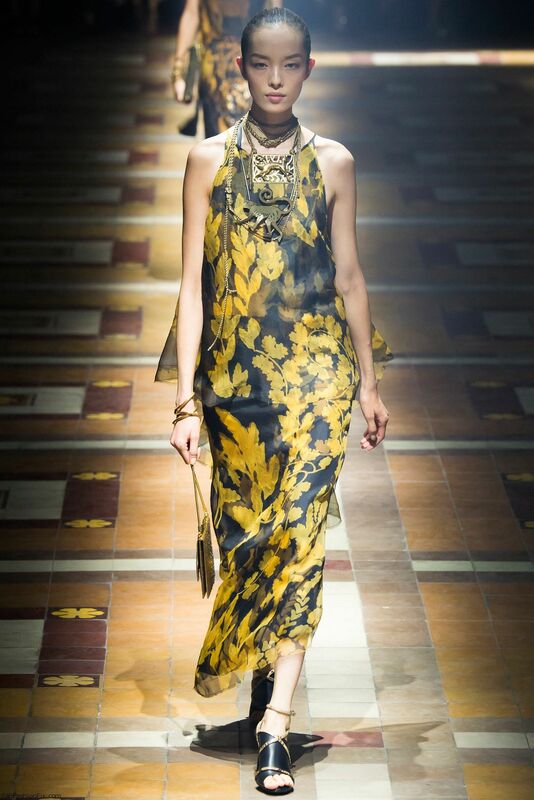 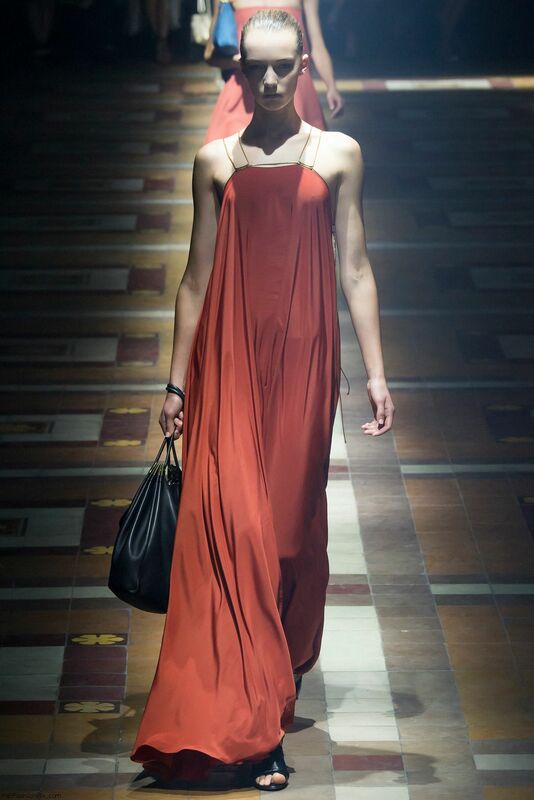 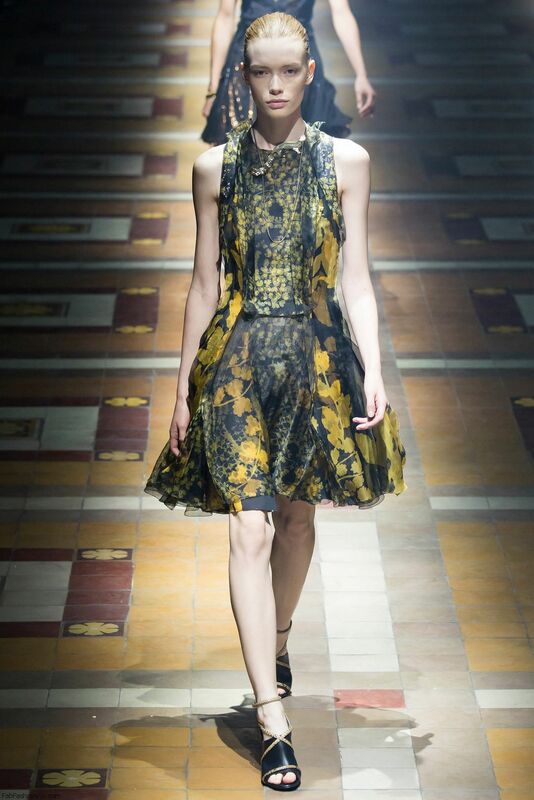 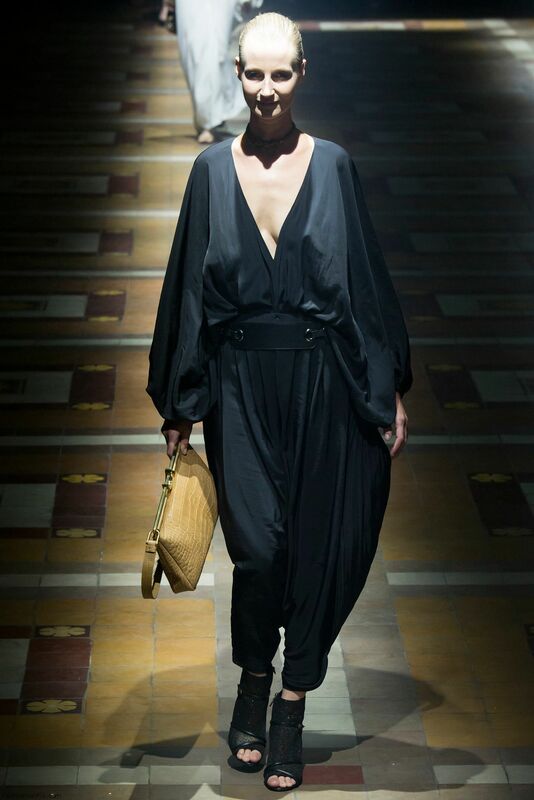 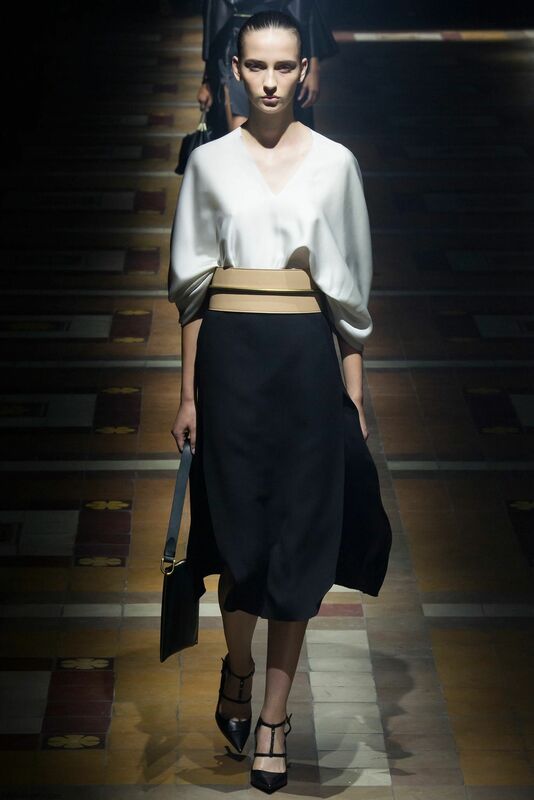 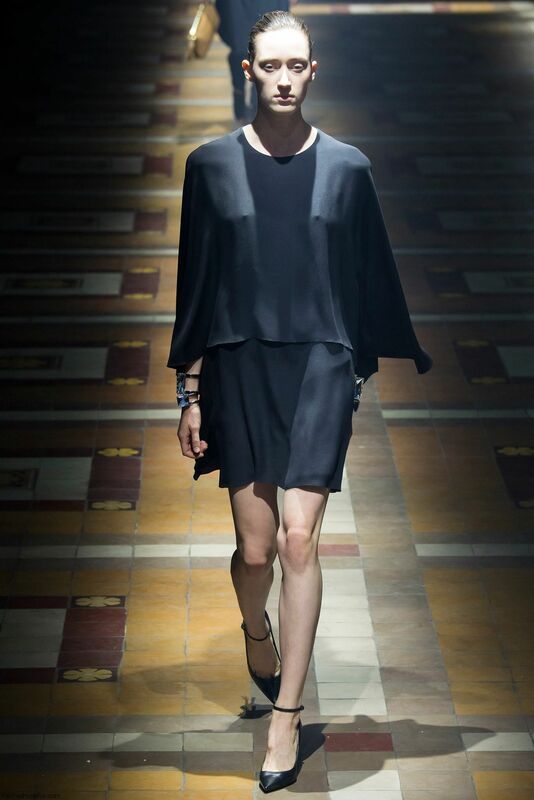 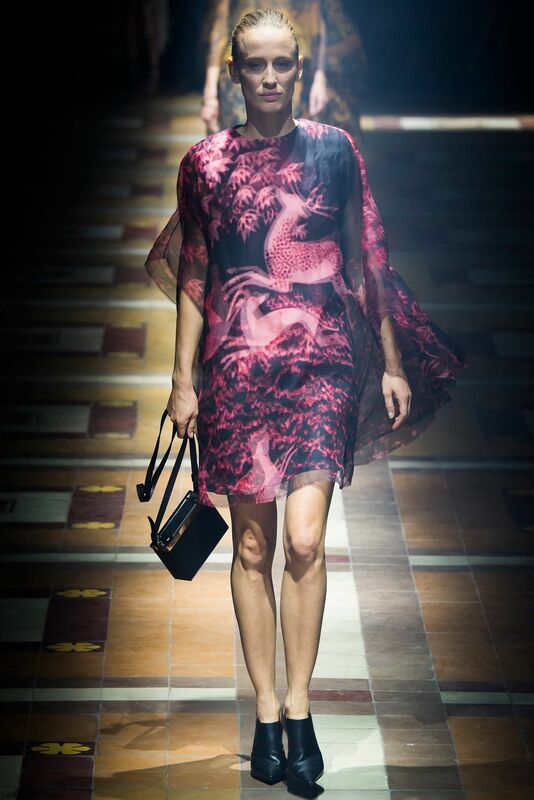 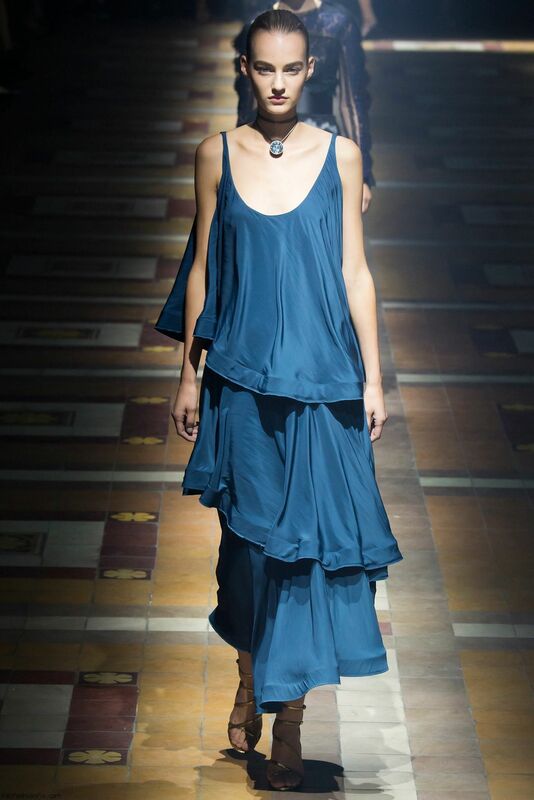 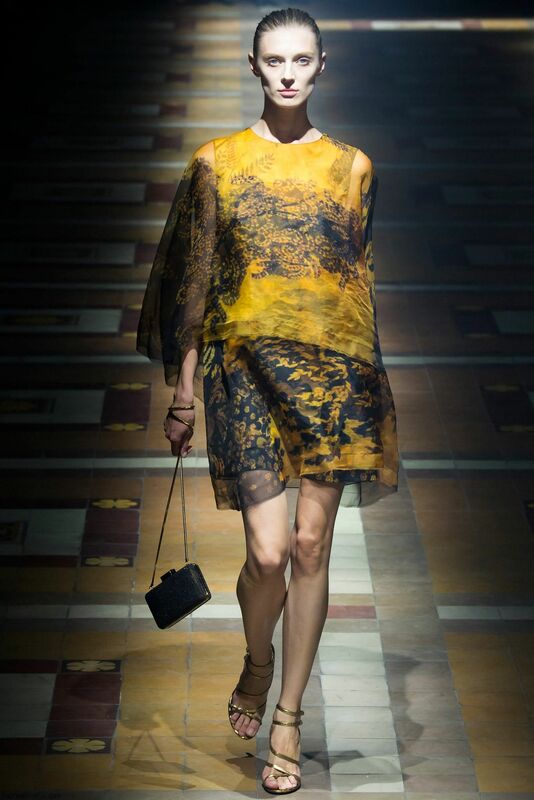 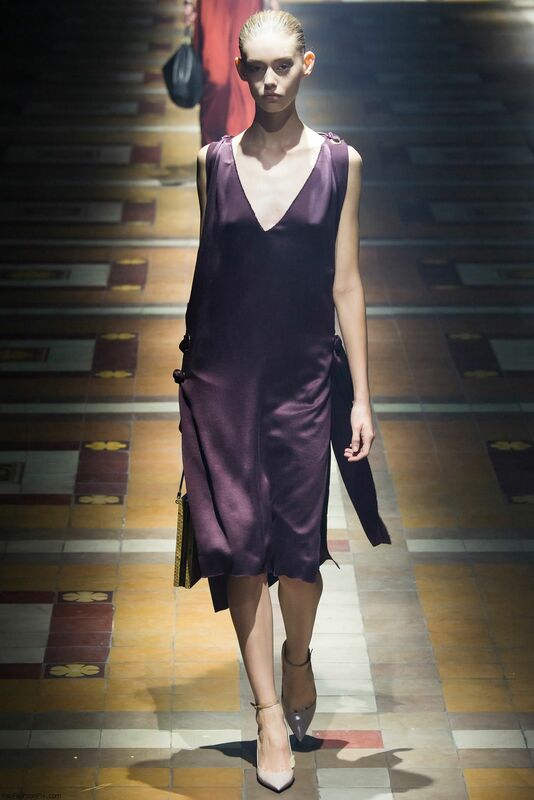 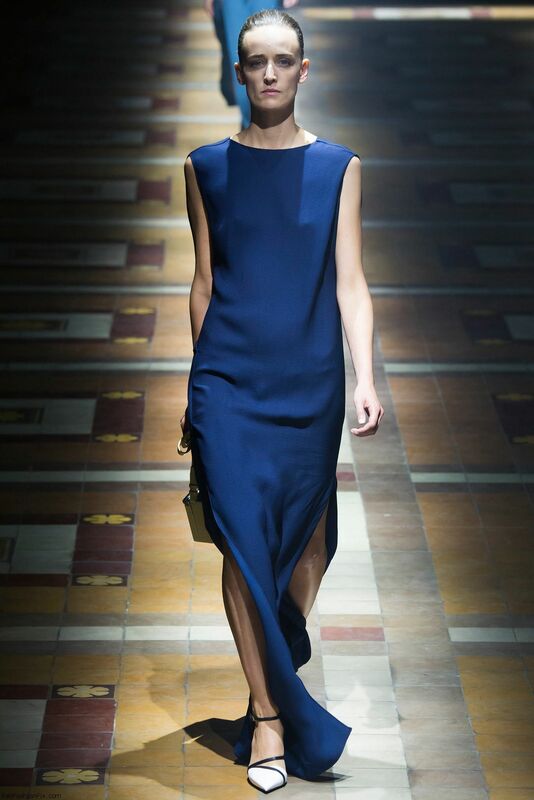 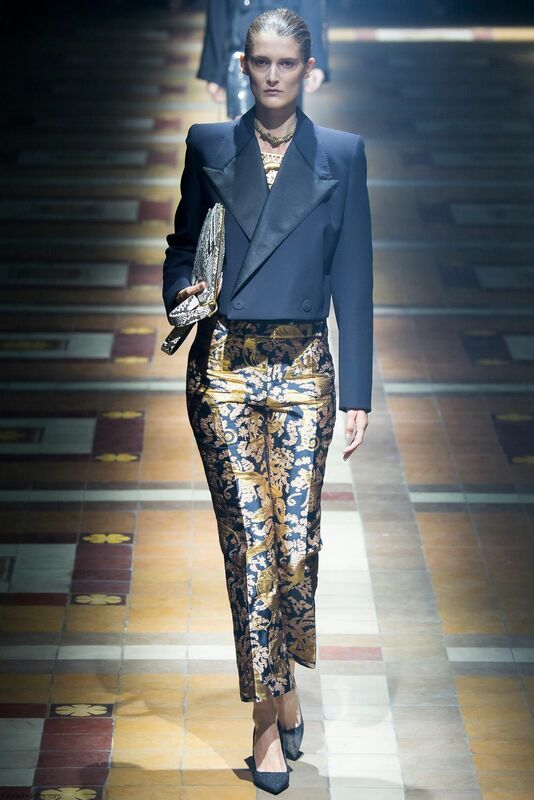 French luxury fashion house Lanvin presented their new spring/summer 2015 collection at Paris fashion week spring 2015. 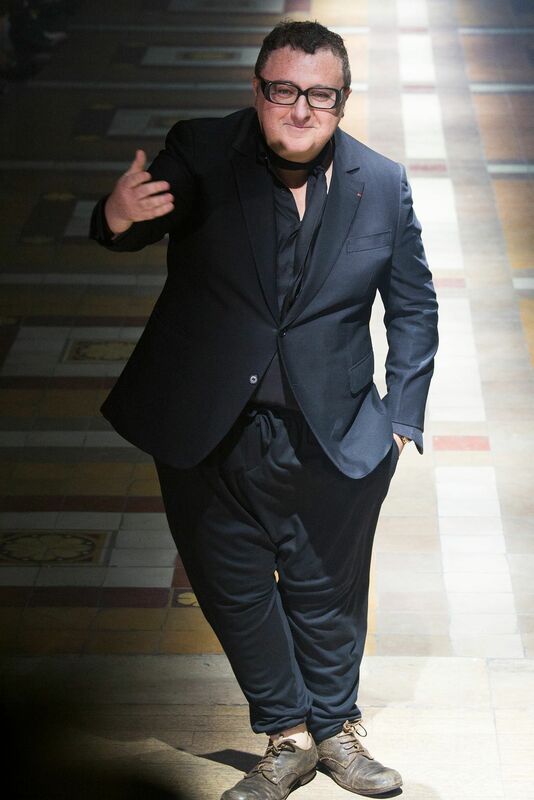 Celebrating the 125 years of Lanvin house, creative director Alber Elbaz presented his own interpretation of minimalism while supermodels like Amber Valletta, Kirsten Owen, Violetta Sanchez, and Natasa Vojnovic walked the runway. 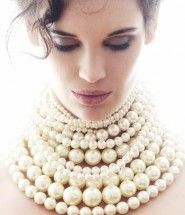 He even casted Audrey Hepburn`s granddaughter , yes we got the point. 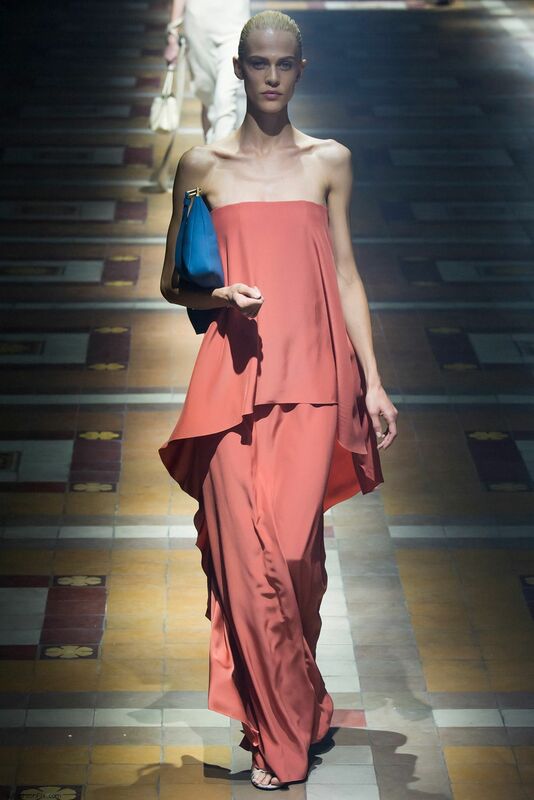 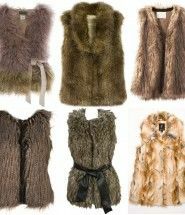 The focus was on party dresses with sexily thigh high slits, shaped dresses with belts, dresses with tuxedo inspired upper part and one-shoulder jersey T-shirt dresses.